The failures of the states do not mean that the Centre should do more, but there needs to be more scrutiny on states, whose own governance can range from the desultory to dictatorial. The aftermath of a Union budget generates a flurry of commentary. Government spokespersons praise its multiple virtues, while the Opposition rails against its myriad weaknesses and failures. These exegesis, however, continue the myth of an all-powerful central government, which can – and should – address India’s many development challenges. For the first half century after Independence, the central government encroached on the autonomy of the states in multiple ways, both in their politics and their economies. These trends have reversed in the last two decades as a result of economic liberalisation and political changes. But on the development front – especially the provision of core public goods – there continues to an obsession on what the central government can, and should, be doing. The central government – irrespective of the ruling party – has an obvious self-interest in promoting its self-importance. Progressive groups have loved the idea of central mandates – either through “rights” legislation or central sponsored schemes – as the magic bullets to address core development challenges. And the chattering classes can then easily personalise complex issues by focusing on individuals, be it the Prime Minister or key cabinet ministers, or a few other key officials. The reality, however, is that the core development challenge that India continues to underperform is the provision of basic public goods, such as law and order, basic health and sanitation, education, clean air and water. If the Indian state can address what are the core responsibilities of any state, economic growth is not only much more likely, but also likely to be more equitable and resilient. However, constitutionally these are all responsibilities of India’s states. Take law and order. Which Indian state has not politicised its police and rendered it venal, corrupt and incompetent? While the higher judiciary hogs the limelight, the vast majority of citizens experience the judiciary through the subordinate judiciary below the high court, in the district and sessions courts. Since the Government of India Act, 1935, the provincial governments (and after Independence, state governments) have the responsibility of governing the judiciary below the high court level, and even the expenditure of running high courts is borne by state governments. But even as states cry hoarse on the need for more jobs, there are nearly 6,000 vacant posts of judicial officers in district and subordinate courts. Appointments to the subordinate judiciary are in the states’ purview. Entry-level civil judges (junior division) are recruited by state public service commissions (PSCs), while district judges are selected directly by the high court. In most states, the PSCs – constitutional bodies – are ramshackle at best, and wracked by patronage and corruption, a far cry from the Union Public Service Commission (UPSC). Since the PSCs choose the rank and file of the state government’s bureaucracies, their failures have afflicted all parts of the public bureaucracy that perform core state functions. No matter how much the central government crows or is criticised, it simply cannot do much about this basic failure. The dismal story of primary health and education across the country hardly needs reiterating. What matters is less or how much, or how well the central government spends on them, than what the states do. The central government can be rightly critiqued on what it does (or does not) on health in areas such as health research, disease surveillance, regulation of medicines or medical devices. But whether a primary health centre exists, is staffed with sufficient number of adequately trained personnel who show up to work, and has functioning equipment and medical supplies – this is the bread and butter of a functioning state, and the onus lies in the state capitals, not on the national capital. Even in productive sectors, the states have much to answer for, and nowhere is this more evident than in the sector facing a deep crisis, namely, agriculture. Quite apart from policies and provision of water and electricity, which consume so much attention and budgetary resources, there are numerous low-hanging fruit from clean land titling, to a functioning agriculture extension system, to agriculture markets that serve farmers and not middle-men, all areas that are completely under the purview of the states. The focus on the Centre makes for good political theatre, but one should have few illusions that it will help India’s beleaguered farmers. To harp on the Centre’s failures to allocate more resources in areas that are clearly state subjects, misses the point. Why have a constitutional design and division of responsibilities between levels of governments? On the one hand, the virtues of decentralisation are trumpeted, but on the other, the Centre is pressed to do more even on issues that are clearly the purview of states. The failures of the states does not mean that the Centre should do more, but rather, that there be much more scrutiny and pressure on states, whose own governance can range from the desultory to the dictatorial. In the past, there were mitigating reasons that limited the states room for action, from the License-Permit Raj, to the diktats of central planning and the sheer preemption of public resources by the central government. 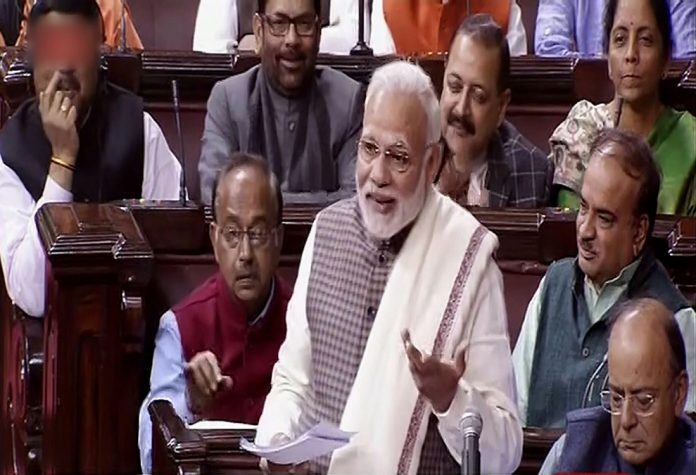 While the first has been severely whittled down, and the second has disappeared, the third constraint was dramatically upturned by the recommendations of the 14th Finance Commission which raised the states’ share in the divisible pool of taxes to 42 per cent from the previous 32 per cent level. Concurrently, with less money at the Centre’s disposal, the plethora of centrally-sponsored schemes with their ‘one-size-fits-all’ approach, has also dropped. But the commensurate increase in attention to what the states are doing has not occurred. The lack of policy capacity in most states is a matter of deep concern. It is as if the states had become so hooked on policy initiatives emanating from the Centre that they allowed their capacity for independent thinking to atrophy. State-level policy think tanks are few, and far between. In principle, some of this capacity could have been developed in state universities, but these institutions have also for the most part floundered. In principle, states could fund centres linked to each ministry in either the state universities or the new IITs, IIMs and central universities, which have better infrastructure. But unless this occurs, India might be headed to a situation where the Centre does not have the mandate and financial resources, while the states, which will have both, do not know what to do, and how to do it. And the people will be caught between the two.